The world economy is based on continuous moving of goods and providing services. This situation of rapidly changing supply and demand for logistic services inspired us to create a company that provides comprehensive services in the field of transport and domestic and international forwarding. Over 20 years in the TSL meant that we are now one of the leading companies providing fully professional transportation and forwarding services and having a regular of satisfied customers. We approach each project individually, treating it as a challenge, and as a chance to raise the standard of the services provided. With us, customers save time and money, we are trying to deliver the cargo to the customer as fast as possibly. 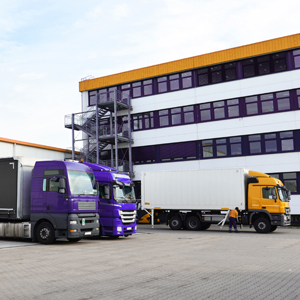 Our offer presents a wide range of logistics services from supporting importers and exporters of goods throughout the whole European community, the solution in the IT industry, warehousing, distribution of goods and freight forwarding. The modern fleet, based on the modern Krone semi-trailers allows us to realize the commissioned carriages on the highest level. We have been maintaining trade relations with ARW Transport&Logistics since 2006. During this time we have forwarded the freight of about 4400 full carriages with the total tonnage of 87000 tonnes to and from Telford UK to our great satisfaction. In the course of cooperation ARW Transport&Logistics has established itself as a reliable transport and forwarding partner, efficient carrier, for whom each carriage is a mobility for a better performance of a service. ARW Transport&Logistics quickly and flexibly adapts to our needs and the standards of our company. We can recommend ARW Transport&Logistics as an honest and trustworthy partner. Lost is a day without a smile. Management, pupils and employees of Centre of Social and Educative Institutions in Chojna heartily thank for the gifts. ARW Transport&Logistics was established in 1993 on the initiative of a group of road transport enthusiasts. We are currently a professional company providing comprehensive services in the field of transport and domestic and international forwarding. Apart domestic routes we also serve international transport to Germany, Holland, France, Belgium, England, Austria, Spain and Italy. We have a fleet of twenty refrigerator trucks equipped in thermographs and twenty covers - curtains, a also large light commercial vehicles for carrying measurement cargo. We also conduct the so called express transport in light commercial vehicles. The content of this page is subject to copyrights. The use of any content with a written permission from ARW Transport&Logistics® is forbidden.